Bobi was one of four children born to her parents, Joseph and Betty Blackstead. Her Dad was the administrator as Johnson High School. With her Dad working for the DoD, Bobi traveled a lot. Starting to school in the first grade in Nurnberg HS, Germany and then the fourth grade in Madrid Spain, Bobi moved with her family moved to Japan in 1960, where she attended the 8th grade. Bobi went to school at Johnson until she graduated in 1965, returning to the States to attend college. Bobi met a very nice guy, Bob Tone and married him. When Bob retired from the Service, the family settled in Las Vegas, where Bobi continued to teach school. 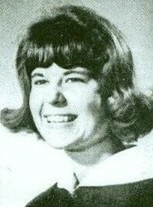 In 1997 Bobi volunteered to hold the JHS All-Classes Reunion in her hometown of Las Vegas NV. The reunion was the largest ever with an attendance of 650 alumni and staff. The JHS Alumni will miss Bobi very much. Click here to see BOBI's last Profile entry.